How did you make this? 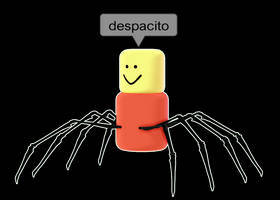 You should've made a 3D recreation of the infamous Roblox spider. This needs to go in r/sbubby. Oh my God that looks amazing as an edit! Pretty freakin good parody of the original SM3DW logo, well done. Somebody help me, I’VE BEEN KIDNAPPED BY A BURRITO! Golly what do we have here? Quality content!